Watermark Art Center and Paul Bunyan Communications are pleased to present the 50th annual Art in the Park, held July 21-22, 2018 in downtown Bemidji’s Library Park. 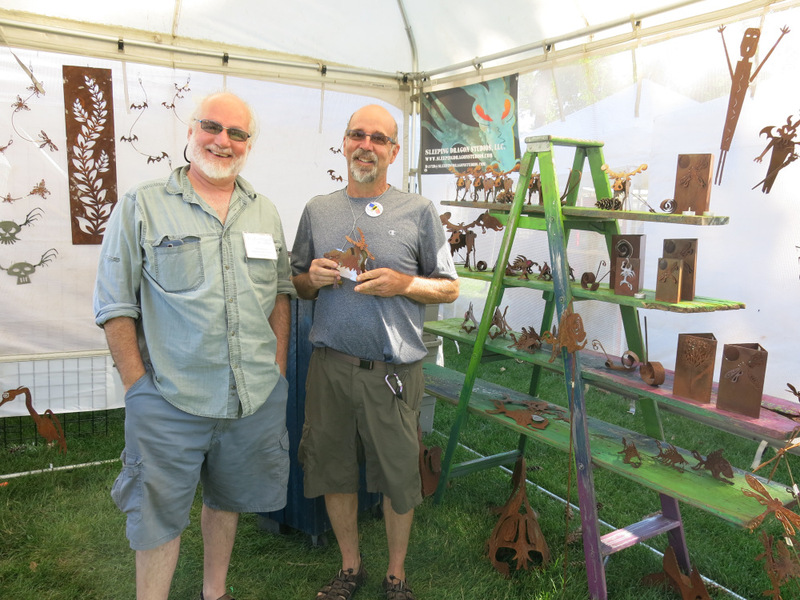 The juried fine arts and craft fair has been a summer highlight for Bemidji residents since 1967. This year’s vendors will be selling everything from wood and ceramics to clothing and jewelry. There will also be photography, metalworking, greeting cards, homemade preserves, food, candles, soaps, and more! Art in the Park is held in Library Park, located next to Lake Bemidji, just across the street from Watermark’s current location at 505 Bemidji Ave N. The art fair features over 100 artists, a dozen food vendors, and live entertainment, boasting an annual attendance of over 4,000 visitors. CLICK for more information.